Facebook is recording your voice, using your camera, users Google search activity, your location and many more. Know how to protect your data. The Cambridge Analatica and Facebook data leakage news has peeped the eyes of all people who are quite active on social media including Facebook. Millions of users deleted to deactivated their Facebook account to protect their data from being used without their consent. Surprisingly, Now-a-day’s data security is Myth. Recently Facebook was accused of such data leakage and you will be shocked to know the even Facebook has officially committed about the illicit usage of user data without their consent or permission. AWARE!! Facebook is recording your voice, using your camera, users Google search activity, your location and many more.Once you have logged in the Facebook account, Fabook can now track or use your data even you decide not to login again. 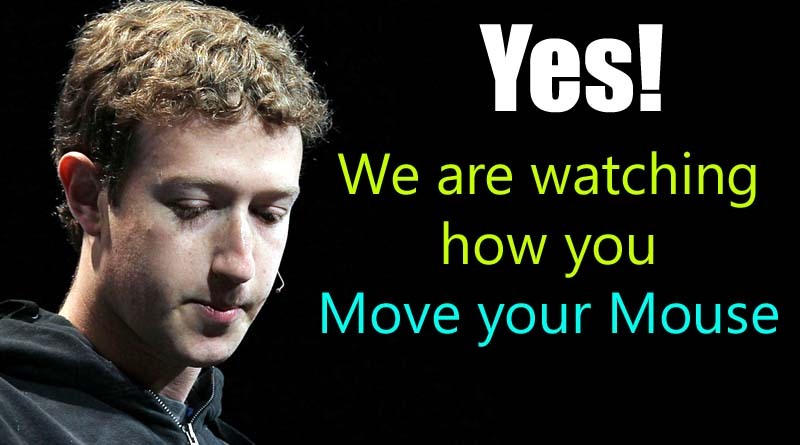 Mark Zuckerberg has responded and committed that Facebook is not only collection user data but they are even spying on them, they not only track your information regarding your Computer, Mobile, any connected device to your computer or Smartphone but they track every movement of your mouse. Facebook C.E.O. Zuckerberg said this responding a 225-paged documents containing 2000 questions by asked by US Senate Committee on Judiciary. The Social media Giant has also committed while answering to board that they collect from and about the device once you have logged in to your account. Computer, Mobile, connected wi-fi devices TV etc and all to combine all data including all web based devices which is ever used to login to Facebook. ” Facebook wrote in the document adding that the collected information is used to “give better personalize the content (including ads), to measure whether they took an action in response to an ad we showed them on their phone”. AWARE!! Facebook is recording your voice, using your camera, users Google search activity, your location and many more. Once you have logged in the Facebook account, Fabook can now track or use your data even you decide not to login again. If you are a Facebook freak and want your data secure to be secured try the method below. Try not to Install Facebook or any other social media plan. Before Installing or opening any app read all the permission asked by the App. Be careful while allowing the App to let access your Media, Contact, Messages, Location, Microphone etc. Rather Installing these App try using on browse.